I guess it's not the expected behavior, but if so, the text “You don’t have access to see this user’s event medals” is cropped. Thanks I'm finding a workaround for this one. Basically the extension author has made it so that by default users cannot see the achievements of others unless they specify so in the UCP - he hasn't included any way to make it not the default behavior of the extension lol. Not his fault its still in beta and not even listed officially anywhere (found it on github) so hey. Oh, I guess you have it pretty much under control. Anyway, if you need help or even check the extension out to make it do it by default just give me a heads up. I'm here to help. Edit: By the way, I found another bug but I don't know yet how to replicate. Sometimes the like buttons are not displayed, I think it happens when you're redirected right after creating a post but I'm not sure. Maybe someone has more insight on the problem. Edit 2: I just liked a post and when redirected back to the topic the Like buttons dissapeared. I went to the index and then to that topic and the Like buttons were back (except on the post I already liked, obviously). Can you guys see achievements now? I made some database changes. You might have to refresh browser cache but hopefully not Should be fixed. As for the likes issue [mention]Flerex[/mention], I have tried reproducing this in the same browser but can't. Anyone else seeing the same thing (like buttons disappear after a page redirect)? Yea, I can see the achievments now. As for the likes issue @Flerex, I have tried reproducing this in the same browser but can't. Anyone else seeing the same thing (like buttons disappear after a page redirect)? Awesome ty for the vid - I think it might be a cookie issue so I will make a new cookie name. I’ll post here when done and hopefully the problem will be resolved - if not then I’ll have to ask the extension dev for help as again this ext is still in beta and not a full build yet. Well I don't know if you already resolved it but to me it looks like it already has been. Ty! Edit: Nope, it's still happening. When replying to a post that has a strawpoll, the position gets bugged. This bug truly is minuscule, my apologies if it doesn't concern you! That already has been reported more than once in the past. Bugs i found in 1.2 update (29/10/2018). When you are making a post and you write too many words / letters, they go out of the Preview text box. When you are making a post, and you place an large image, or inside a quote, it goes out of the Preview text box. Unnecessary vertical scroll at profile visitors. Good job with the report as always thanks Syturio - I will get on these. I also noticed sometimes Font Colour button in full editor doesn't work. On horde skin on mobile the title is separated on two lines when viewing a topic in the sub sections like loot etc. On "Credits" page, GIF Brewery has a wrong link. 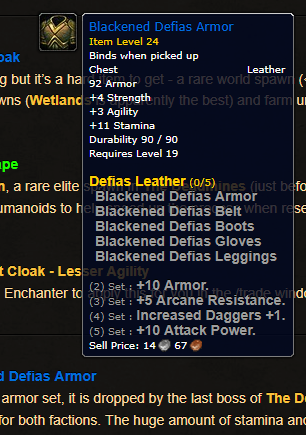 Some fields in tooltips for items such as those listing bonuses or gear in the set are of a different font and seem to be bolded. Some of the buttons for inserting BBCode produce a different button's code, and vice versa. 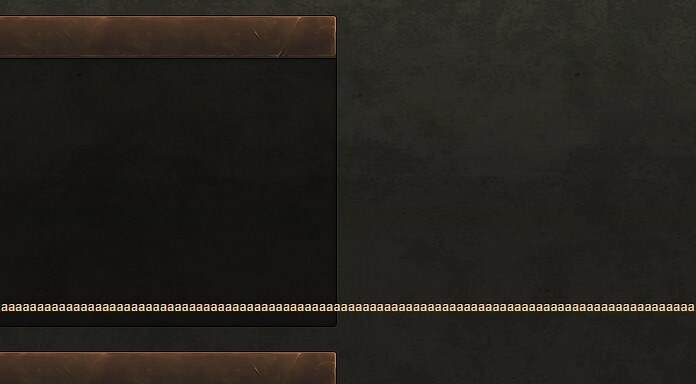 The buttons do have the correct tooltip though! These issues were found on a Windows 10 machine running Google Chrome. Not a bug but: you really shouldnt logout the user when clicking the avatar in the top right corner. Basically it's supposed to be a login link for Guests, when the user isn't registered: but seems I accidentally coded it off whether it's the default avatar or not (instead of session) - which is why when you (with a default avatar) click it, it goes to login/logout.php page and logs you out. Definitely not intentional lol. If you change your avatar this will go away. Will fix next patcheroo. Okay I think I was able to hotfix this. Would you please let me know if the issue still exists? Not sure if this is noted somewhere here already, but on phone browser view count for threads is not showing. Hey JP, this is working as intended. I found one! When you write a private message, and write the recipients name in the recipient field, but forget to press the "add the user to recipients" before pressing submit, the message client does the lovely thing of adding the recipient to the recipient list, but the message you typed is displayed below without having been sent - either that or it sends twice when you then finally press submit again. Will try to replicate this and get back to you.